In French: apostille means certify, authenticate or complete. Aims to simplify legalizing the documents issued in any country by a registered or recognised institute.Once a document is apostilled it is recognised or considered legal in countries listed in Hague countries which includings India. Countries which are part of hague convention does not require to legalize the document. Simple apostille is enough to validate documents. Originals of the documents you want to Apostille. Passport for identification (In case of marriage and Devorce certificate Passport of Husband(or ex) and Wife(or Ex) both are needed. If someone is collecting on behalf of you, He/she should carry authorization letter on 20rs bond. Collect all the original documents you want apostille, and supporting documents as mentioned above. Difference between those 2 ways. Apostille which involves State attestation where state authority body has to attest for the document. This attestation can only be given to person holding the document no other agencier are allowing to get this. The attestation which involves SDM attestation which bypasses the state attestation,Doesnt require the person on whose name that document was issued, agencies can take care of the whole process. In both the cases MEA apostille is provided. In the first way where state authority is involved, go to concerned state authority and submit the document pay a nominal registration fee.wait for 1 week or so collect it back.If you have completed it then directly apply here for apostille. 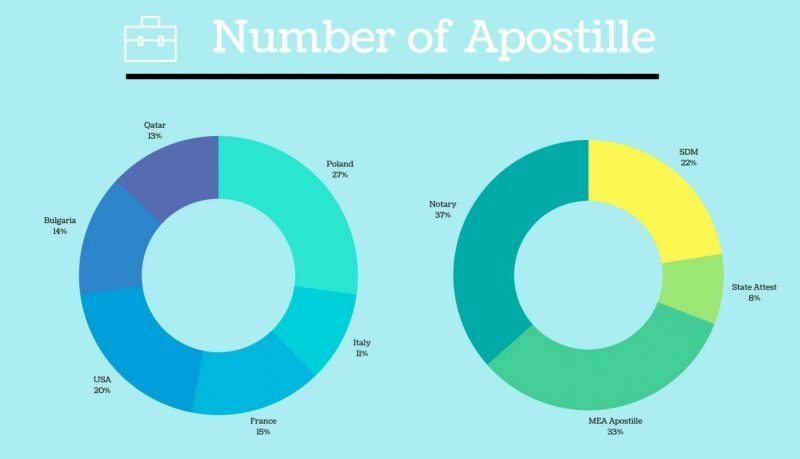 For Poland it is not mandetory to get state attestation so you can skip this step and directly get mea apostille.To apply for apostille click here. If you still want state attestation, Submit the original document at Regional commissioner office carry originals and one photocopy. Carry required documents mentioned above. Get a seal from Notary in your region. Submitbmitt the documents to HRD department and get HRD seal on the document for Apostille. Finally submit the documents to MEA, you must go through some agencies to get Apostille.Wait for 1 week maximum. Apostille is time consuming process and is different for different countries. click here to get it in a easy way. How do I send my documents and Where? You can send us via any courier service available in your city. Upon receiving your documents through courier, within one week documents will be at your home Apostilled. Is your service MEA approved? We are MEA approved which means here is no middleman between you and MEA, you will have least price in the market out there.We barcode all the documents to keep them in track. We Apostille thousands of documents not a single complaint was received in past years. We will continue the same. You can be assured that we take care of all your docents as our own. If you have any further questions or need more clarification, feel free to Contact Us. Documents issued in one country should be authenticated or legalized to be used in another country. The other country will recognize those documents and will have the same legal value in the other country as the parent country in which documents are produced. ​Before the Hague Convention the authentication procedure was very difficult as there were many people involved in making a single document legal. The Hague Legalization Convention simplifies the procedures for documents if both countries are part of the convention. Is India listed in Hague convention? My country is not listed in Hague convention what should I do? If your country is not listed in Hague convention Your documents require Consular/Embassy legalization. This process involves 2 extra steps at the Department of State and the Embassy or Consulate. Why your price is less compared to others? Should I be worried?? Legal is the way to travel.